Richmond is the starting point to unforgettable BC adventures. 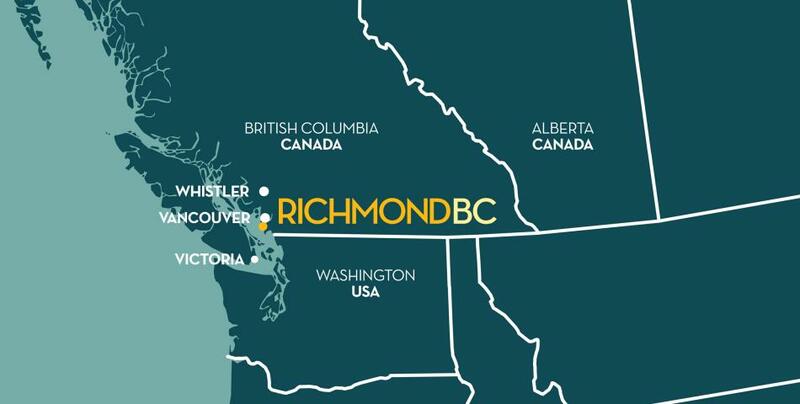 With Vancouver International Airport (YVR) in our backyard, Richmond sees its share of visitors from around the world. While some touch down to visit Richmond, others may spend a day or two before renting a car or embarking on a tour and heading elsewhere. Since Richmond is so close to a wide variety of world-class cities like Vancouver, Victoria, and Whistler, it isn’t hard to add a few days to your trip to take in more of BC’s beauty. Visitors come to Vancouver from around the world, due in large part to its easy access to outdoor activities, beaches, museums, nightlife, and amazing parks. Since Richmond is just next door, Vancouver is a quick and easy day trip. Check out Stanley Park, Granville Island, the Vancouver Aquarium, FlyOver Canada, Science World at Telus World of Science, and The Vancouver Art Gallery. Just hop on the Canada Line rapid transit system in Richmond and you’ll be in downtown Vancouver in 20 minutes. Many Vancouver sightseeing buses will also pick you up from your hotel in Richmond. BC’s capital city on Vancouver Island is an easy ferry or float plane ride away. While there, visit the famous Butchart Gardens, step back in time at the Royal BC Museum, explore our Parliamentary Government Buildings, and enjoy high tea at the historic Fairmont Empress Hotel. BC Ferries offers regular service from Tsawwassen Ferry Terminal in Delta and the Horseshoe Bay Ferry Terminal in West Vancouver. 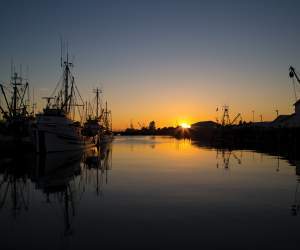 Tsawwassen is a 30-minute drive from Richmond, Horseshoe Bay is 60. If you’d rather fly, Pacific Coastal and Harbour Air offer frequent float plane service and Helijet offers helicopter service to Victoria from YVR’s South Terminal. In the midst of the spectacular Coast Mountains along the scenic Sea-to-Sky Highway is Whistler, one of Canada’s premier year-round destinations. Just two hours north of Richmond, it’s also one of the most acclaimed skiing destinations in the world, often ranking as number one in North America. Whistler features two majestic side-by-side mountains, epic skiing and snowboarding, four championship golf courses, shopping and dining for every budget, beautiful hiking trails, restorative spas, and arguably the best mountain bike park in the world. Rent a car or book a seat on one of Pacific Coach’s long-distance buses that depart from Vancouver International Airport.